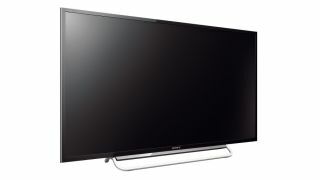 Sony has announced the addition of the W6 Professional series of screens to its Bravia range. The line is aimed at business, with video conferencing presentations or displays in mind. The W6 is available in 40-, 48- and 60-inch sizes and has a Full-HD LED display that's compatible with HTML5. It provides features HDMI, D-Sub 15, USB and Ethernet connections, as well as featuring screen-mirroring functionality so that users can show content from their mobile devices. Content can also be played from USB, online, via RS232C control or in Hotel Mode without the need for an external player. U-Touch overlays can be used with the screen to add touchscreen functionality. Sony promises that the W6 range delivers, "sharp, engaging images." Despite this, it includes a number of energy saving features, such as backlight dimming, to reduce energy consumption and minimise running costs. The 40-inch W6 Professional will be available this month, with the 48-inch and 60-inch models coming later this summer.